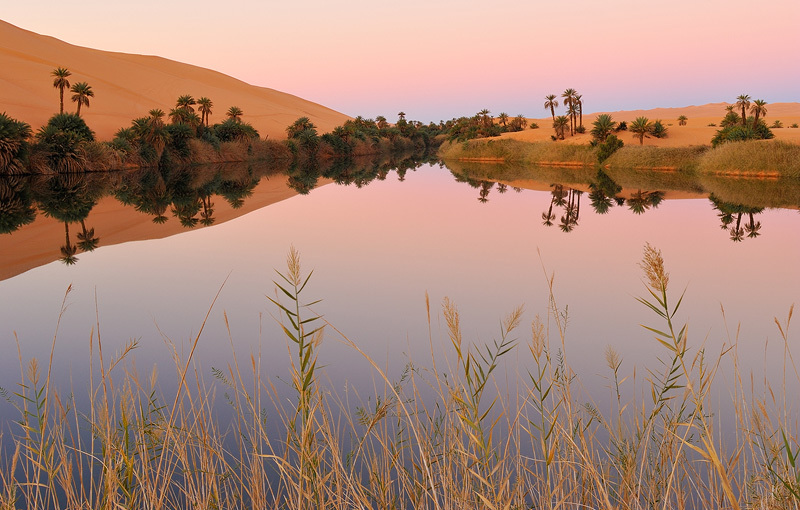 Oasis with a large lake located in the Sabha District in the Libyan Sahara. The location of oases is of critical importance for trade and transportation routes in desert areas. Caravans must travel via oases so that supplies of water and food can be replenished. This was shot just before sunrise. A few weeks later the protests started in Libya.